Bear Creek, Texas, formerly Cap't Mill Texas. The community formed in the 1850s and was named after the dominate feature. 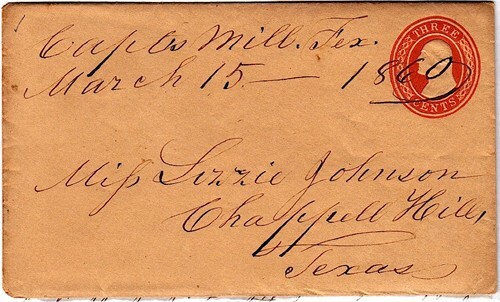 A man named Luis Capt moved here in 1851 and saw the potential for a gristmill. He constructed a dam and mill and the following year he was welcoming neighbors. 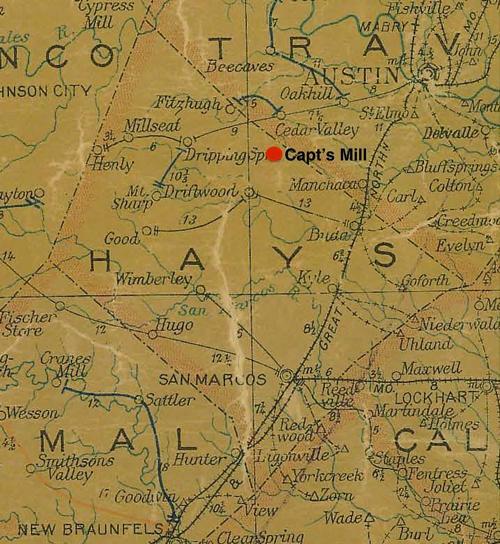 The community was first known as Capt's Mill. The town acquired an academy with the arrival of Thomas Jefferson Johnson who opened the Johnson Institute. Things were going well for the growing community until 1867 when a flood washed the mill away. Five years later, the Johnson Institute closed its doors. The community became a ghost due to its tiny population and no businesses to speak of. Fast forward one hundred years and Bear Creek had a new lease on life. Developers produced a residential neighborhood near the nearly forgotten ruins of the Johnson Institute and the name was returned to use. The 2010 census counted 382 residents. Bear Creek is served by the Dripping Springs Independent School District.